When it comes to unique attractions, every country has its fair share of them. But since this is a blog about Romania, we’re going to focus on attractions in the country. 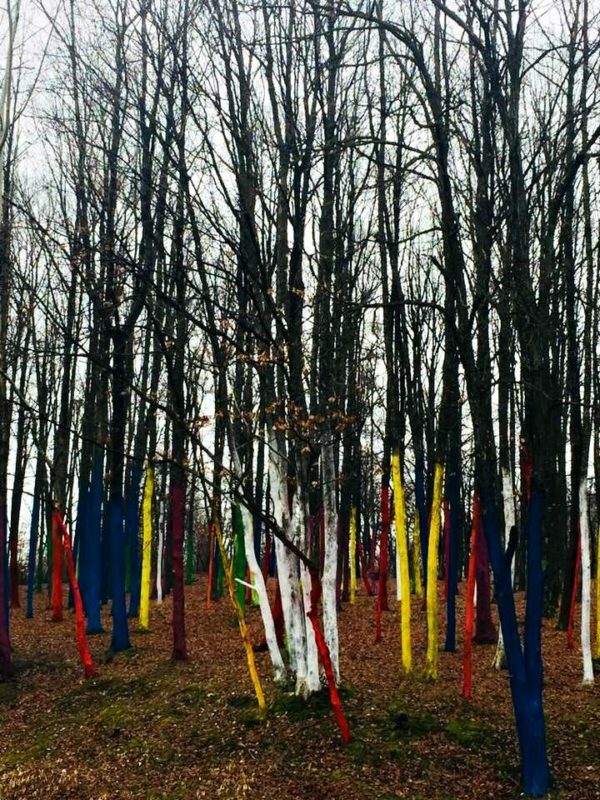 And one of the most original ones is the Color Forest near the Poienari village, somewhere between Targu Jiu and Ramnicu Valcea. 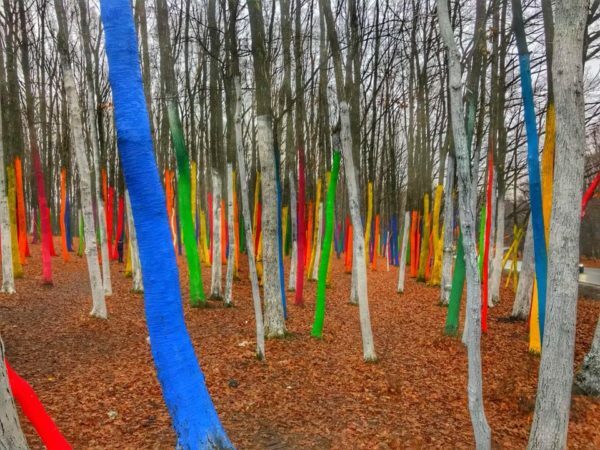 A unique and extremely interesting project by artist Mihai Topescu, the Color Forest is exactly what it seems to be: a brightly colored forest near the village. 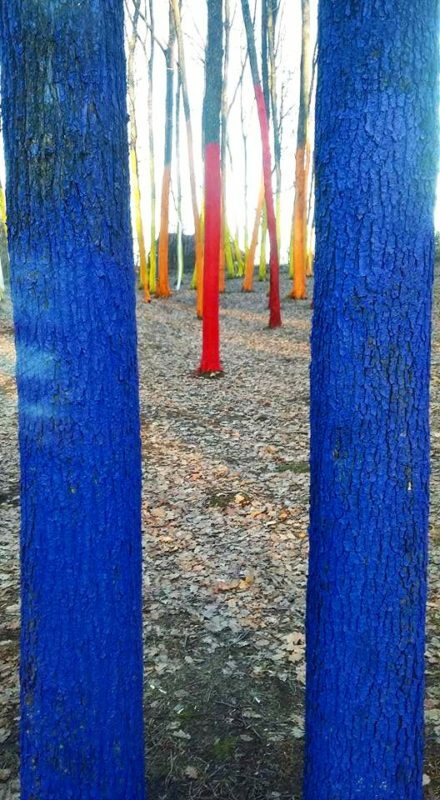 We’re talking about 600 trees that have been painted by the artist in vibrant, ecological colors as a protest against the heavy deforestation in the area. Most likely, when the project started, they didn’t know how popular it will become: today, people are flocking to take pictures and see the wonder themselves. 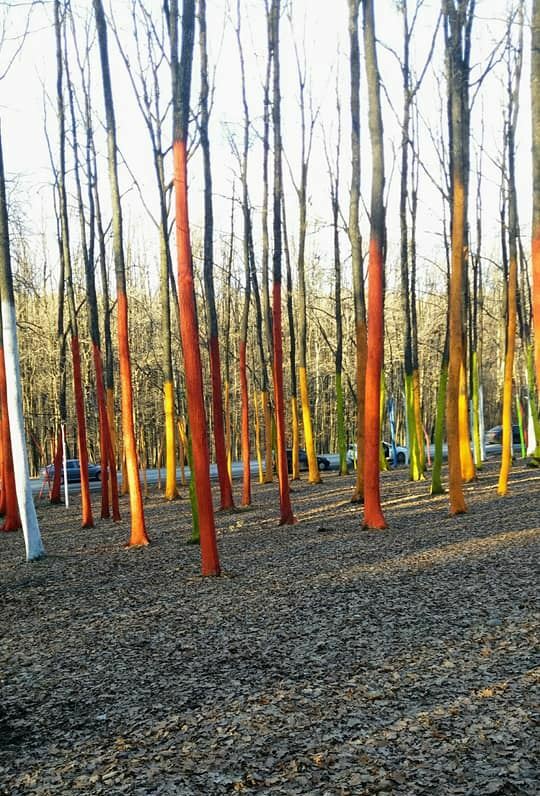 It is indeed an unique art form and definitely something worth checking out if you ever get into the area. 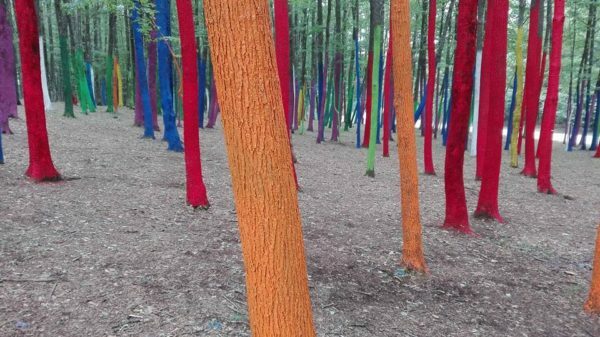 Officially called “the Garden of Paradise,” the Color Forest (as it’s actually referred to) is not only a protest against deforestation. The artist hopes that the place will become a place for meditation, for self discovery, a place that will help others enjoy and appreciate art in any form. 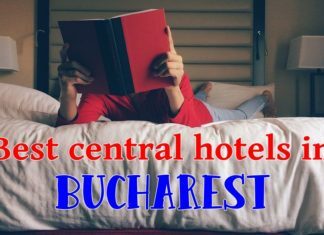 One thing is clear: since it has been created in July 2017, this unique Romanian attraction started to become more and more popular – unexpectedly so, I would say. But that’s a good thing. We know for sure that a forest – albeit small – has been saved from being cut down. 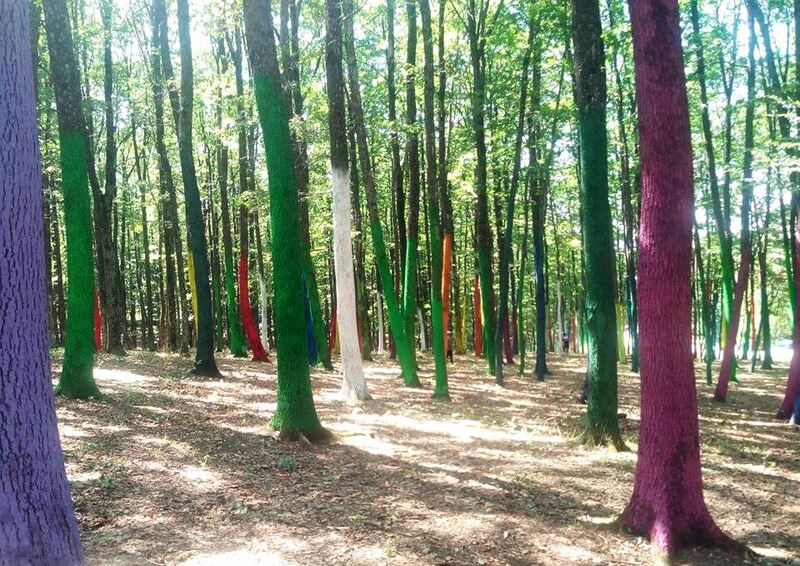 Maybe others will follow suit and turn Romania into a Color Forest country. You can check out even more photos on the Facebook page of the forest – where you also have a map (Google Maps currently shows an incorrect location of the forest). And if you like it so much that you feel you’d love to live close to it, I’ve already written a guide to Targu Jiu – one of the larger cities closest to this attraction. Previous articleBest Restaurants in Drobeta Turnu Severin: Where to Eat Great Food? Then, there’s the Amazonian rainforest (aka the lungs of Earth) which is still being decimated. She seems to have the “street cred” for the job. Hopefully, all will be copacetic. As for the new Prime Minister, she is considered they party leader’s puppet. The same was said about the two previous ones who proved to have a bit of a spine.. we’ll have to see if he made the right choice this time. So far, it seems that he did. How colorful! I wonder what the original motivation was. I know he means it as a place for meditation, but truthfully l don’t think l could be relaxed enough to meditate there 🙂 . I would like to see it during the day. I think the night might be a little too scary for me as l am a big chicken :-). Please get your family immunized, if it’s not too late! which befall humankind? Do you have a flu shot regimen? would rather die than get a vaccination. who will believe anything he says. He’s our own P.T. Unfortunately, those who are against vaccination are pretty popular here – so popular that the government decided to run pro-vaccination ads. There was a big measles scare recently with tons of cases – probably the most in decades. Even at our son’s kindergarten, there were several kids who got it, including one of the teachers. There is a system of mandatory vaccines in the country, but measles (or the flu shot) is not amongst them. As a result, many people just don’t do these and the consequences were obvious this year. But for those who want to get the vaccines, they are easily purchasable in pharmacies. Glad to hear the pharmacies offer vaccinations!